Cozy little home on a large corner lot in a well established neighborhood. This is a 2 bedroom and 1 bathroom Jack and Jill style home, there are 2 closets in the bathroom, one for each bedroom. Cozy front porch and an enclosed back porch with laundry hook-ups. Large fenced in back yard with alley access, planter boxes for gardening and a storage shed for your tools. Freshly painted exterior and pest clearance. 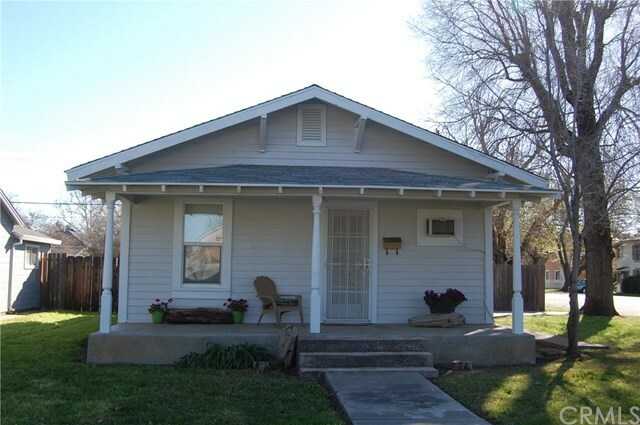 This would be the perfect starter home or a great rental investment, ready to move in with the refrigerator, washer and dryer included. Buyer to verify all conditions to their satisfaction! Directions: South on Crawford from Wood street, corner house on the left. Inclusions: REFRIGERATOR, WASHER, DRYER AND PICNIC TABLE IN BACK.